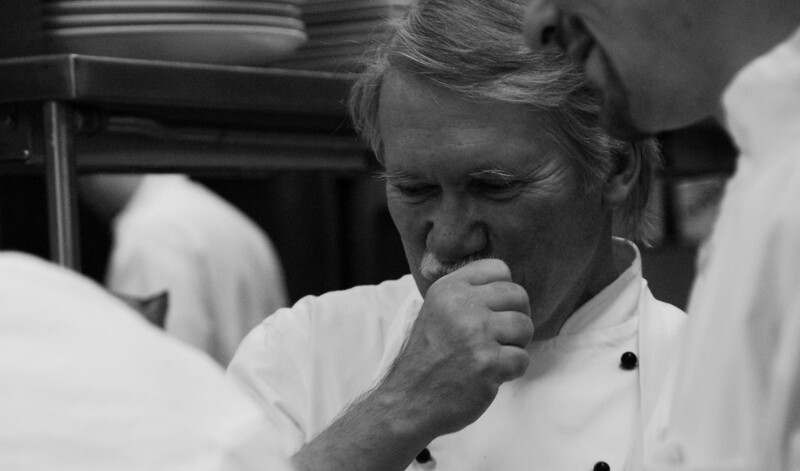 Every chefs dream is to own a restaurant – this is, after all, everything that a chef works for. Being in control, controlling the decisions, becoming one with the operation, being in charge of your own destiny, becoming the face, heart, and soul of the operation and knowing that any profits are yours to hold is the dream of any chef with an entrepreneurial spirit. I get this – in fact, I have had the same dream for decades, but fortunately I never took the leap. What is most confusing is when a person without the background of living the restaurant work experience for decades chooses to become an owner; “It ain’t easy” – as one in the business will likely tell you. You love to cook (not just as a hobby) and have done so professionally for at least a decade. You have been working in restaurants all of your life, have paid your dues and now want to provide a home for others working their way up the restaurant operation career ladder. There is a need in your community for a meeting place where people can leave their troubles behind, break bread, clink glasses, toast to friendship, laugh out loud, and feel the rewards that a great restaurant can bring. An acquaintance that is familiar with your cooking at other restaurants and raves about your unique culinary touch wants to invest in you as a silent partner. You put in the sweat equity for a sizable share of the business; he or she covers the cost of building out the space and subsidizing initial year losses, and has no desire to tell you how to operate. You have a partner (not a good friend – almost always a bad decision) who has very strong business skills. You are a crazy good cook with lots of restaurant experience but don’t know Jack about running a business. The two of you form a perfect business marriage. He or she leaves the cooking to you and you leave the business to him or her. Funds for opening and covering the first couple years are not a problem, the location is perfect, and there is plenty of anxious front and back of the house workers in your area to fill every position in the operation. As Gabrielle Hamilton stated – “You work all day in preparation to work all night.” It will be a rare situation when the owner can take a day off, come in late, or leave early. Even if you can – you won’t want to. This is your baby and it thrives on your attention. Those who think that it will be easier to own the business than to simply manage it are in for a surprise. Even if you are taking over an existing operation there will be sizeable costs. If you are renovating or converting a space into a restaurant – the costs will be very substantial. Kitchen space can be as high as $400-$500 per square foot and the dining room – depending on décor and furniture can cost nearly as much. A turnaround cost of $500,000 to $1million is very likely. These funds do not include cost of start up inventory and enough financial backing to cover expenses during that first 6 month – 1-year period of growing pains. Ten years ago, this was never an issue. Today – finding chefs, cooks, managers, and service staff is one of the more challenging pieces of the puzzle. Much of this issue is related to the restaurant industry’s inability to pay reasonable wages (a result of low profit margins), a lack of benefits, and the commitment of unpredictable time that an employee has to invest in a restaurant career. Profit margins of 5-6% are only realized in restaurants that do most everything right. It is very easy to lose your grip on the narrow profit margins that restaurants provide. On rare occasions the bottom line can be larger, but in most cases it washes out at far less than 5%. If you find vendors who are always on time, always able to provide ingredients to your specifications, willing to listen to your challenges, able to help with solutions, and fair with terms of payment – then HANG ON TO THEM. In many cases your vendors will let you down – be prepared. It would be nice to say that customers are predictable, that if you do a good job they will always knock on your door for a table, that their needs will be clearly stated and easily met, and that they will see the value in the food experience that you offer. As is the case with any retail business- customers are unpredictable, change their minds, and vary their patterns of support. Unlike other retail businesses – your supplies have a very short shelf life. In most cases the ingredients you buy will maintain their quality for 3-5 days. There is little margin of error in operating a business of this type. What you purchase must be sold or it becomes a liability. Good analytical data may help to remove some of the mystery from operating a restaurant, but for the most part each day will bring surprises. Challenges with product, marketing, cost of goods, staffing, customer patterns, impacts of weather, and fluctuations in the economy will constantly challenge your ability to predict and manage the business. This may seem like a minor issue, but from my experience – every charity, school, or community organization thinks that restaurants have buckets of money and product to donate for a worthy cause. Unfortunately we (restaurant folks) have big hearts and oftentimes say “yes” when we should say “no”. The best advice is to budget a reasonable amount each year for donations, have a thorough application process for funding or donating, and stick to it. At least until you are firmly established (maybe 5 years in) or unless you choose to close the operation each year for a few weeks, you will not want to leave the operation. Vacations are not real for most owners. “What will happen if I am not here?” Anxiety will ruin a well-planned vacation for most restaurateurs. A good friend of mine who owned a business for a period of years told me that this was his biggest wake-up call, the thing that kept him up at night for many years: every week he had to look at his account balances and personally sign checks for vendors, landlords, and employees. Fearful that one-day there would not be enough funds stuck terror into his life. Restaurants have ebbs and tides in business volume. Many operations are seasonal in nature, but even those that are not will find that every week produces swings in volume. It would be reasonable to assume that when business is slow your landlord or bank would cut you some slack and let you falter a bit with timely payments. This is NOT the case. The pressure of FIXED costs will eventually be the demise of many restaurants. After all is said and done, those who are successful restaurateurs are able to make a profit, small though it may be, that is able to keep them afloat while stoking the joy of entrepreneurship, making people happy, and breathing life into their innate creativity. This is the carrot that many seek, but some can never grasp. If you can balance your passion for food with the business savvy to operate efficiently and make good decisions then take the leap. ARE YOU INTERESTED IN STORIES OF RESTAURANT OPERATION AND OWNERSHIP? Order your copy of: The Event That Changed Everything TODAY! Click on the amazon link below to order a copy of this novel depicting restaurant life.